Following a week focusing on new films at the box office, Daily Billboard thought this festive science-fiction double-bill would be a great way to kick off another week of variety here on our blog. 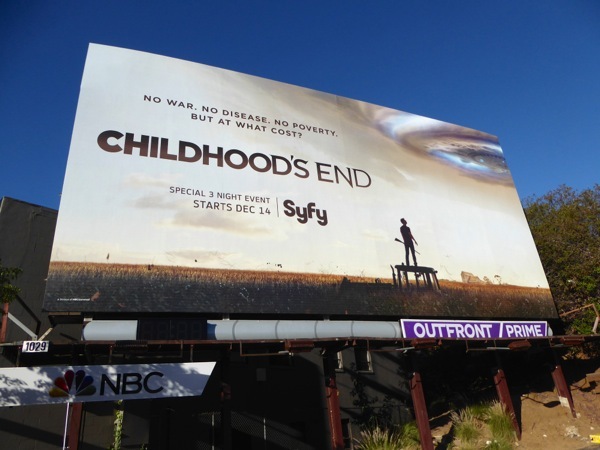 This holiday season Syfy are adapting two works of literary fiction, the first a 1953 classic by the legendary sci-fi author Arthur C. Clarke, Childhood's End. 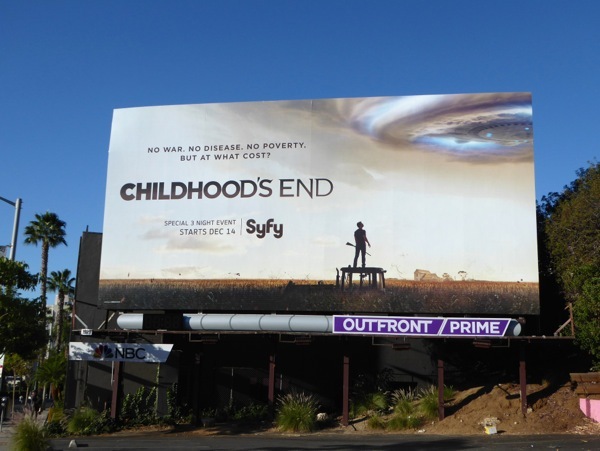 In the six-hour mini-series which stars Under the Dome's Mike Vogel, Nip/Yuck's Julian McMahon and Game of Thrones Charles Dance, the mysterious 'Overlords' carry out a peaceful invasion of Earth which ushers in a new age of Utopia for humanity, but at what cost? 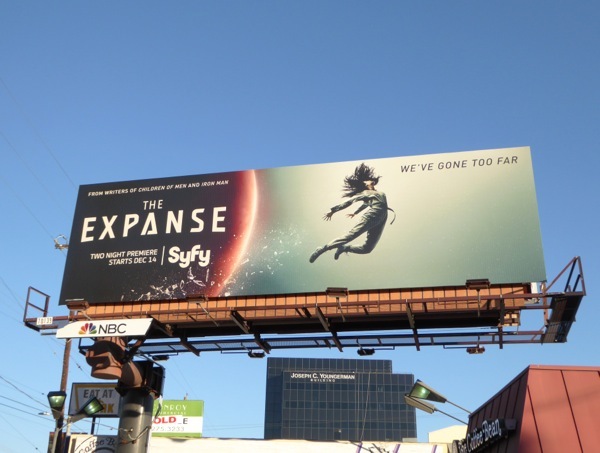 Syfy's other offering this December is The Expanse, based on the series of sprawling space opera books by James S. A. Corey (the pseudonym of writing collaborators Daniel Abraham and Ty Franck). Set 200 years in the future in a fully colonised Solar System, Thomas Jane's 'Detective Miller' investigates the disappearance of a missing young woman with the help of an ice freighter officer (Steven Strait) which may lead to uncovering a major conspiracy before war breaks out between Earth, Mars and the Asteroid Belt which supplies the essential resources all the planets rely upon. 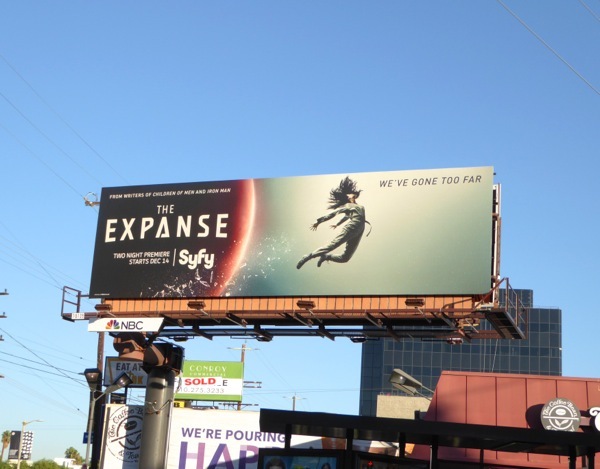 From the looks of things in The Expanse's launch creative, the missing woman was thrown out into space, but why and by whom? 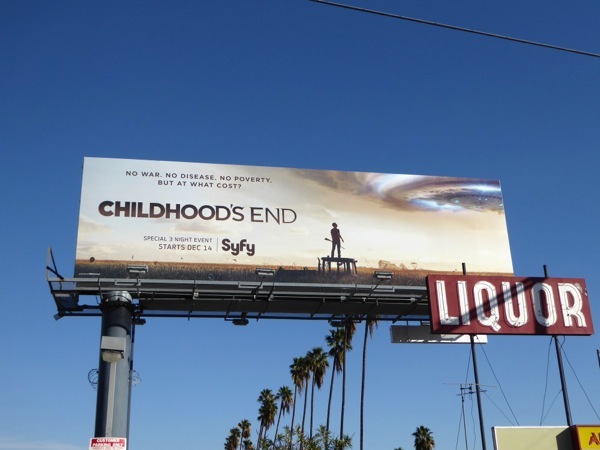 Meanwhile the Childhood's End ad creative has that iconic alien flying saucer in the sky imagery which immediately evokes classic sci-fi tales. 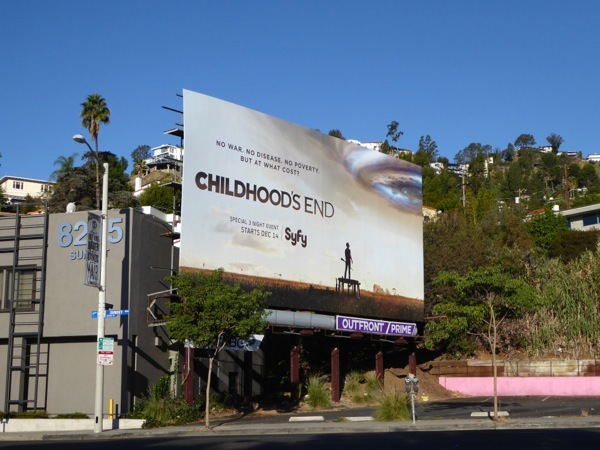 These cool Childhood's End billboards were spied in two locations along Sunset Boulevard on November 28, whilst The Expanse series debut billboard was spotted along La Cienega Boulevard opposite The Beverly Center on December 1, 2015. 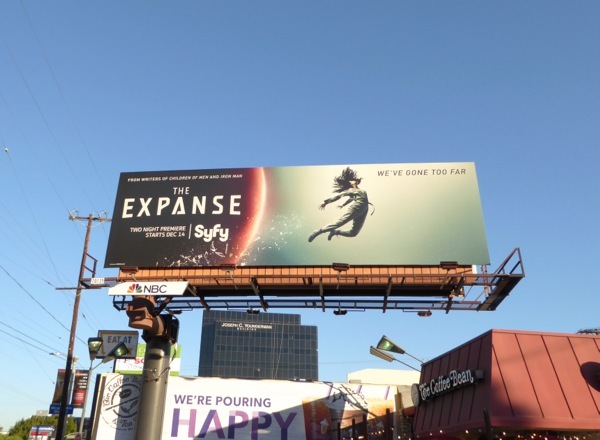 Last year Syfy only had billboards for Ascension in the skies of L.A., but this year they're obviously hoping to entice viewers with twice the science fiction spectacle.